Pee Wee Russell, MainArtist - Famous Music Corp, MusicPublisher Copyright : (C) 2005 M.A.T. Music Licensing Ltd. (P) 2005 M.A.T. Music Licensing Ltd.
Pee Wee Russell, MainArtist Copyright : (C) 2005 M.A.T. Music Licensing Ltd. (P) 2005 M.A.T. Music Licensing Ltd.
Pee Wee Russell, MainArtist - E B MARKS MUSIC CORP, MusicPublisher Copyright : (C) 2005 M.A.T. Music Licensing Ltd. (P) 2005 M.A.T. Music Licensing Ltd.
Pee Wee Russell, MainArtist - Shapiro-Bernstain Co Inc, MusicPublisher Copyright : (C) 2005 M.A.T. Music Licensing Ltd. (P) 2005 M.A.T. Music Licensing Ltd.
Pee Wee Russell, MainArtist - Allen-Bud Publ, MusicPublisher Copyright : (C) 2005 M.A.T. Music Licensing Ltd. (P) 2005 M.A.T. Music Licensing Ltd.
Pee Wee Russell, MainArtist - GOLDSEN MICHAEL H INC, MusicPublisher Copyright : (C) 2005 M.A.T. Music Licensing Ltd. (P) 2005 M.A.T. 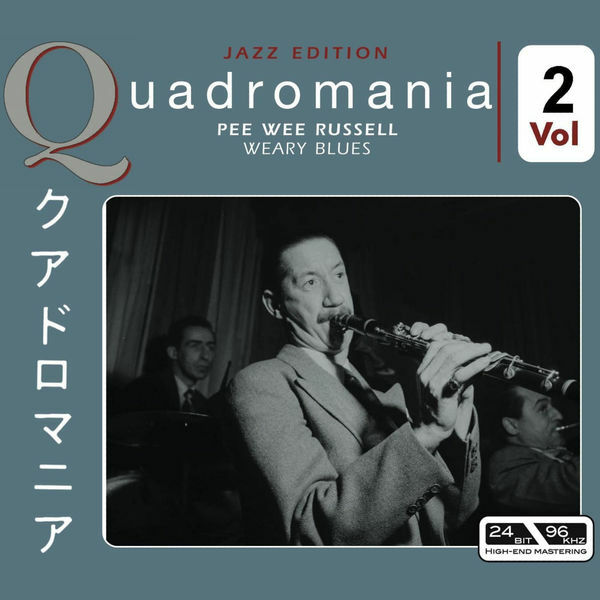 Music Licensing Ltd.
Pee Wee Russell, MainArtist - WARNER BROS INC, MusicPublisher Copyright : (C) 2005 M.A.T. Music Licensing Ltd. (P) 2005 M.A.T. Music Licensing Ltd.
Pee Wee Russell, MainArtist - Redwood Musik Ltd, MusicPublisher Copyright : (C) 2005 M.A.T. Music Licensing Ltd. (P) 2005 M.A.T. Music Licensing Ltd.
Pee Wee Russell, MainArtist - MORRIS-EDWIN-H-CO INC, MusicPublisher - Redwood Musik Ltd, MusicPublisher Copyright : (C) 2005 M.A.T. Music Licensing Ltd. (P) 2005 M.A.T. Music Licensing Ltd.
© (C) 2005 M.A.T. Music Licensing Ltd.
(P) 2005 M.A.T. Music Licensing Ltd.